Thermal Club Raceway is a racing venue in United States with 19 laptimes. Apparently the 720S just set the lap record. yonly65, only Formula 1 cars, LMP1 and MotoGP bikes are allowed, as far as race cars and race bikes. I ran a 1:11.9 for the "C" circuit last weekend, in a Ferrari 488 GT3. 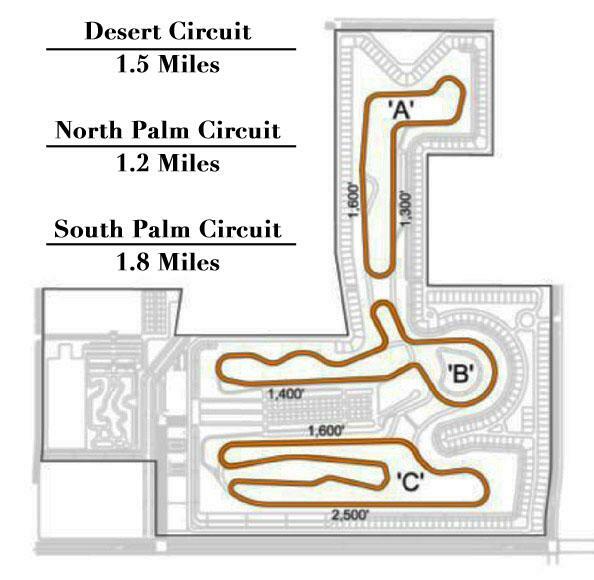 @FastestLaps - Just to note, this is the 'South Palm Circuit' config. So it's not a 570s. Mostly it is. It has a mild +50whp cats and ECU tune, that is all. Likely worth much less than 1s with a pro. Probably 0.5s. Jeez, do you think they'd sell any LTs if a 570S with a Fabspeed tune was 2s faster on track? Should also be noted, we have included modified times on Sachsenring and elsewhere. saxy - Have to admit, it makes you wonder about that LT time though. The 570S is supposed to be 112kg heavier and with far less downforce, and it's on 225+285 Corsa tyres vs 235+305 Trofeo Rs on the LT.
At 1:29 you can also see that it's only 50whp (59hp crank) up on standard too. 583whp is identical to a stock 675LT. +50whp should not make a 570S on Corsas 2s faster than a 675LT. So you see why I absolutely hate including Solomondrin's times, and think he's a disingenuous rat. 8:37 - Dear God, even the damn amateur driver was only a second off Solomndrin's alleged pro LT time.... on Corsa tyres. And as fast as the alleged pro Aventador SV and Huayra times. Pfffft. A stock 570S is 3s slower than an LT on tracks like this. And I'm damn sure than tune (+50whp) didn't knock 5s off the lap time). They should delete all Solomondrin's times, they're all complete bullcrap.